Much better detail than can be achieved in plastic in this scale. Tiny parts will require great care in cutting from fret, glue application will be an test! No painting guides. 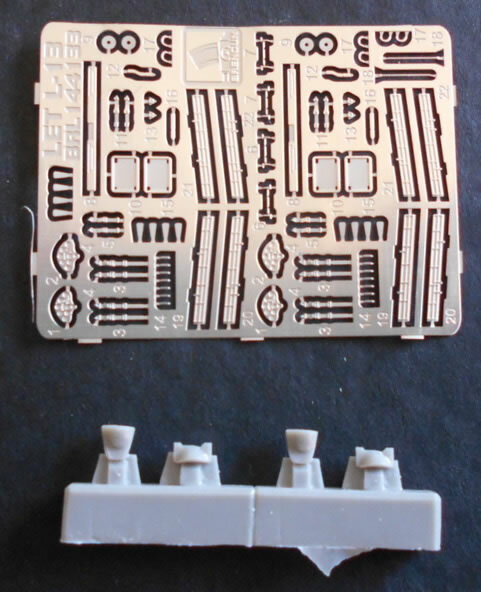 These sets will certainly enhance the intended kits although the tiny nature of many of the parts will restrict their use to modellers with great dexterity, better eyesight than mine and an excellent grasp of CA glue use. As most parts are not under any tension I would think that most modellers will probably use PVA to attach the parts as it is more flexible and easier to remove if a mistake is made. 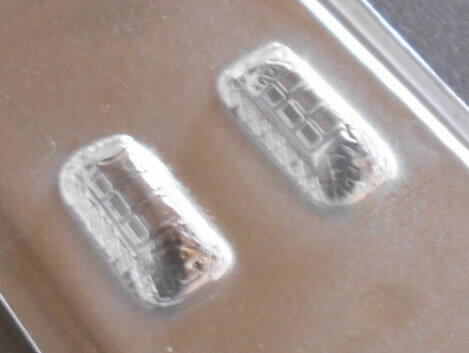 The canopies look to be a better prospect than the injected moulded ones in the kit. All sets are recommended to the 144th scale fanatics. These three sets are designed to embellish some ‘tiny scale’ kits from a variety of manufacturers. They are not coloured and colour call-outs are not mentioned. Detailed instruction for part location are provided with each set. Two sets of PE and resin as there are two kits in the Mark 1 box. The finely done PE allows the modeller to replace the cockpit interior - seats, belts, pedals, side panels and instrument consoles. Fuselage and wing details include some inspection panels and the air brakes. The resin parts are the two instrument coamings for pilot and passenger. A double set that allows for the enhancement of the cockpit with new seats, belts, side consoles, instrument panels, cockpit floors and pedals. The wings get new flaps andDSCN3198.jpeg supports, nose generator propellers, ladder, aerials and DF loops. This set contains two vacform canopies for the Sweet Hurricane kits. 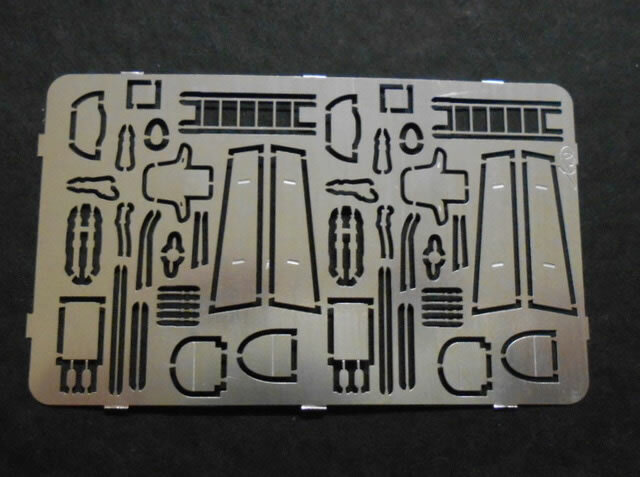 These sets will certainly enhance the intended kits although the tiny nature of many of the parts will restrict their use to modellers with great dexterity, better eyesight than mine and an excellent grasp of CA glue use. As most parts are not under any tension I would think that most modellers will probably use PVA to attach the parts as it is more flexible and easier to remove if a mistake is made. The canopies look to be a better prospect than the injected moulded ones in the kit. All sets are recommended to the 1/144 scale fanatics.